LG Jordan Oil, North Carolina's first choice for propane delivery in Wake, Chatham, Durham and the surrounding five county area. Full-service home propane delivery, tank installations and equipment. Off-road diesel and gasoline deliveries for construction sites, agriculture and propane cylinder refills. We’ve taken good care of our neighbors for four generations — we’ll take good care of you. 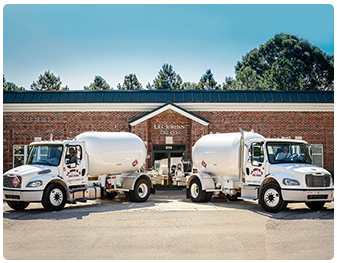 LG Jordan has been the first choice for propane and home-heating oil delivery in and around Apex, North Carolina, for nearly 100 years. That’s because customers know that they can count on us for reliable deliveries backed up by top-notch customer service and benefits that count—like convenient automatic delivery, budget friendly payment plans and round-the-clock deliveries and repairs. Over the years, we’ve grown—offering more products and services, as well as expanding our service area to include six counties. But we remain true to our roots as a family-owned, locally based business. 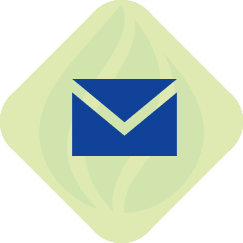 We are dedicated to exceeding customer expectations and providing true value every day. 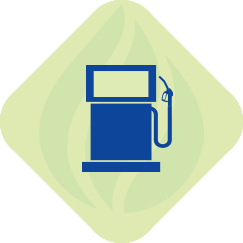 Whether you are a homeowner or a business, when you’re looking for a propane dealer, you want a company that does more than fill up your tank. 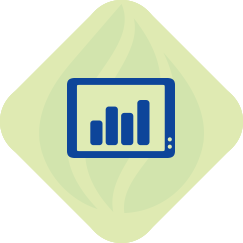 You want a company that delivers real value—value that comes from fair pricing as well as dedication to customer satisfaction. That’s LG Jordan. 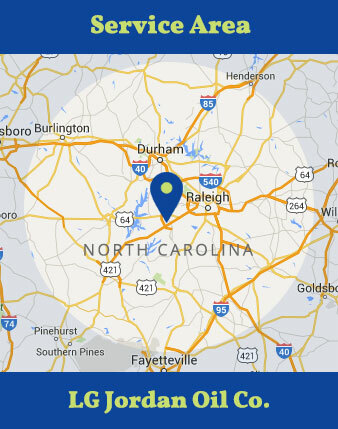 Delivering propane gas and heating oil in Wake County, Chatham County, Durham County, Harnett County, Johnston County, Lee County and Orange County, North Carolina. 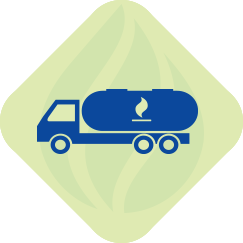 Count on us for your fuel deliveries and service—contact us today!